My my, what a beautiful day. 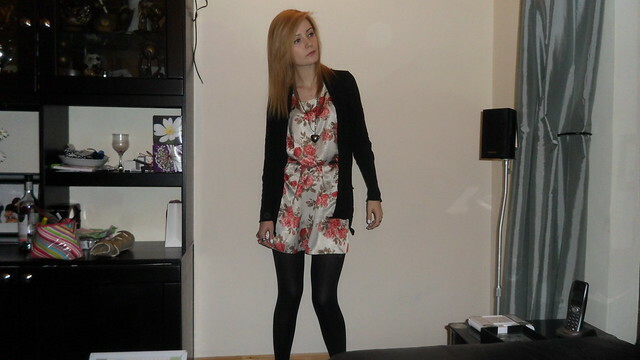 I was in a jumper & pair of leggings majority of the day, but decided that perhaps i should make some form of effort. 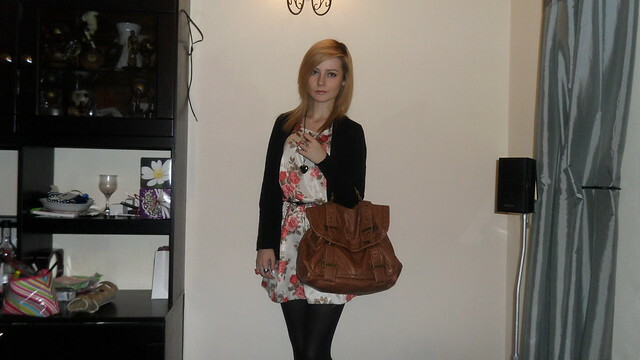 Me & Sam have been together 6 months today, so i used this as an oppurtunity to dress up without going OTT. Love this floral dress, it's just gorgeous, yet, it's huge on me, hence why it's belted, but i think it beign belted gives it a really nice shape, although it would most likely look more flattering if it was fitted. I think it looks pretty and girly, it's got a nice Spring look about it too. 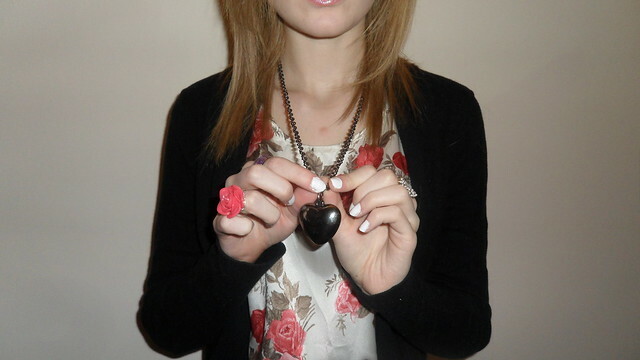 I've worn three rings (totally forget where they were from, sozz) + a heart pendant necklace. Also, painted my nails white, i think white nails just look ah-mazing. I used the Models Own brand which i found amaazing. Oh how i wish my satchel was a Mulberry Alexa, but no, it's from Topshop, and cost around £40, love it! 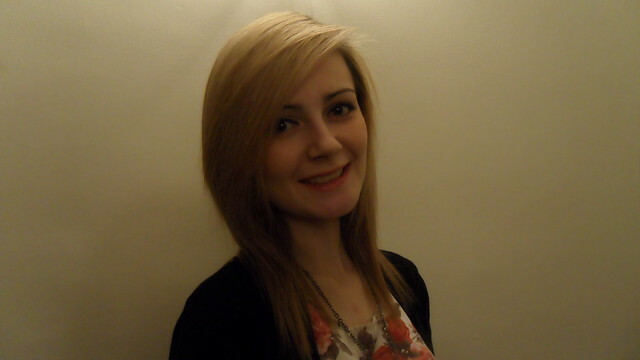 Also, i apologise for the rubbish photo quality of the photo where i'm smiling, don't know why it decided to go all weird. CONGRATS on the 6 month anniversary, it's so sweet to celebrate it. I remember celebrating ours, it's be our 4 year anniversary this year. I love your floral dress and it does add a little Spring to the outfit. I love this outfit, the dress is so nice!! Oooo, congrats on the 6 month anniversary. And you look really pretty. 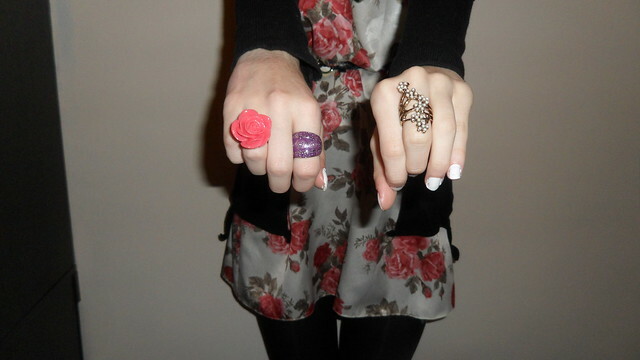 I love the floral dress. You look very pretty in that beautiful dress. Love the white nails too. You look lovely! Congrats on you and Sam, you must both be so thrilled. Milestones in relationships are so happy and you're just in lala land all day! Enjoy, lady! Great vintage find! Love the dress. Beautiful colors. Beautiful look! You're so pretty!